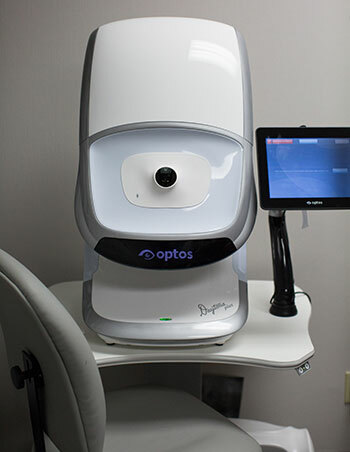 Along with traditional retinal photography, Moses EyeCare offers advanced imaging with OPTOS. This technology can get a 200 degree high resolution image of the back of your eye compared to the traditional 45 degree photo. Retinal Imaging is crucial in the diagnosis, treatment, and prevention of ocular diseases like glaucoma, diabetic retinopathy, macular degeneration, retinal detachments, cancers, strokes and cardiovascular disease. We can even compare these photos from visit to visit to monitor change. 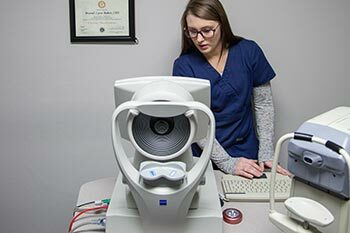 While most photography is centered on the retina, or the tissue in the back of the eye, Moses Eyecare also focuses on the front surface of the eye called the cornea and other outer structures. OCT or Ocular Coherence Tomography is used in the treatment and diagnosis of the optic nerve, macula. and the surrounding tissue. 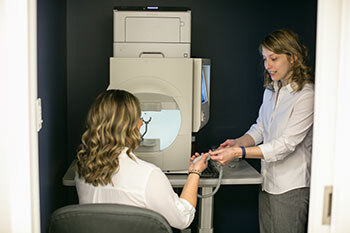 The scans help to detect subtle changes that might otherwise go unnoticed in diabetic retinopathy, macular disease, and especially in glaucoma management. 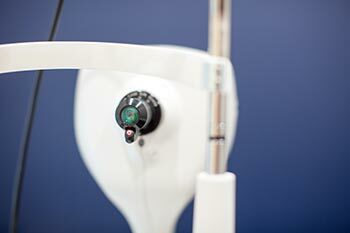 Often, these machines can detect thinning in the nerve fiber layer before vision is lost making it a standard procedure for any glaucoma patient at Moses EyeCare Centers. 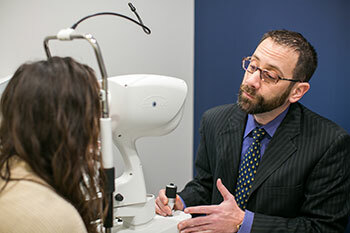 The visual field is used to test peripheral and central vision. Many eye and brain disorders can cause visual field abnormalities. For example, optic nerve damage caused by glaucoma creates a very specific visual field defect. Other vision problems associated with blind spots developing within the visual field include optic nerve damage from disease or toxic exposure or damage to the inner lining of the eye (retina). It also can monitor any visual loss caused by certain medications. Corneal topography or corneal mapping is a noninvasive, 3D imaging technique for determining the topology of the surface curvature of the cornea, the outer structure of the eye. This can be important in eye diseases like keratoconus or the fitting of contact lenses.It is also useful for pre and postoperative LASIK patients to monitor healing. The procedure is carried out in seconds and is completely painless.